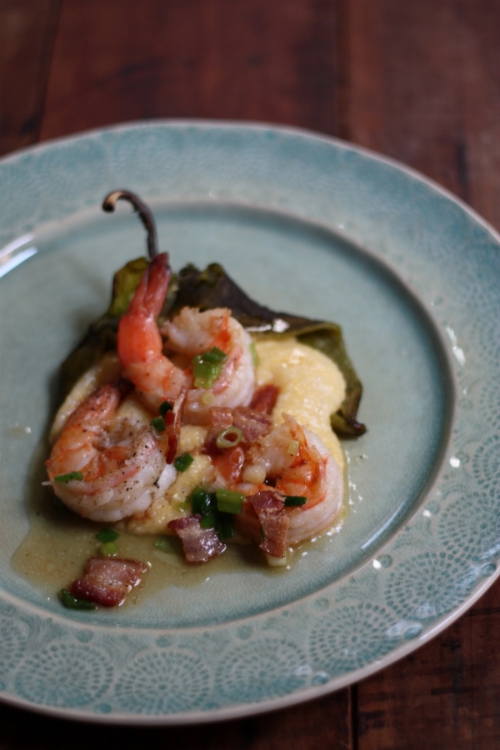 My latest post for Aftertaste by Lot18 has a little bit of a Southern — Southwestern flair to it, shrimp and grits over a roasted poblano pepper. 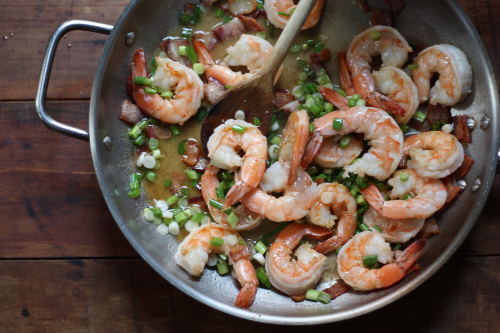 Once your poblano is roasted, peeled, and cored its as simple as cooking your grits, bacon, and shrimp. Then you can simply dress up your plate for a simple weekend or weekday meal. 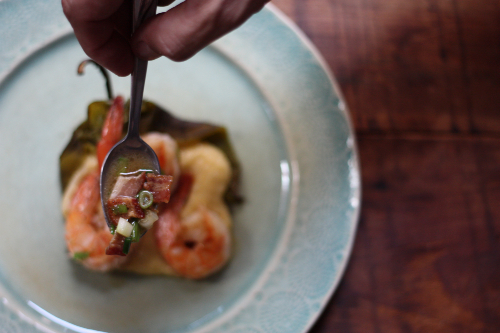 Utilizing local shrimp,stone ground grits, and poblanos (which were grown locally and arrived in my Farm Table box) makes this dish even better! I love shrimp and grits. One of these days I have to make these at home myself. I hope the new adventure is going well for you!